Hey there and welcome to my newest website listing. It's been a while 11 months since I did a daily listing. This also isn't the first time I've counted down my favourite games on a console. Six years ago I revealed my Top 50 Favourite Mega Drive Games. That was a fun listing, if you're interested in checking it out click here. I've considered doing a Top 50 Favourite Playstation 1 Games list for many years now. Not long after finishing my Mega Drive one six years ago was probably the first time I thought about this listing. Last year I even set out to write this piece, but never got round to it. It's been on the backburner for a while. So why now? I don't really have a straight answer for that, but it just felt right to write it now. So why Playstation 1? Well, six years ago I explained that the Mega Drive was my first proper console. But the Playstation 1 console is my all time favourite console. This console really changed my life, the games on it, the stories, the characters, the graphics, everything. I loved this era. It helped me grow from a boy to a teenager. I don't care if it sounds cliche or cheesy, but it did change my life. So, for the next fifty days I'll be revealing one by one, my favourite games on this console. I emphasise, MY favourites. Not the best. There are going to be games that are considered to be amazing that are not on this list. Such as Metal Gear Solid? Tony Hawk? Tomb Raider? They won't be anywhere near this list. It's not because they're bad games, I just have either never played them or when I did, I just didn't enjoy them. They're just not for me. So remember that, when I countdown this list - these are my 50 favourites. Anyway, let's start with #50! 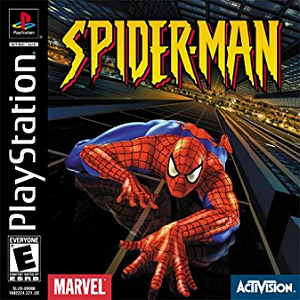 Best Moment: Simply using your webs to climb from building to building - it was never properly done before in a Spiderman game up until this game. Some people may think this game deserves a higher placing on this list and if you're one of those people I do understand. This game is very nostalgic. 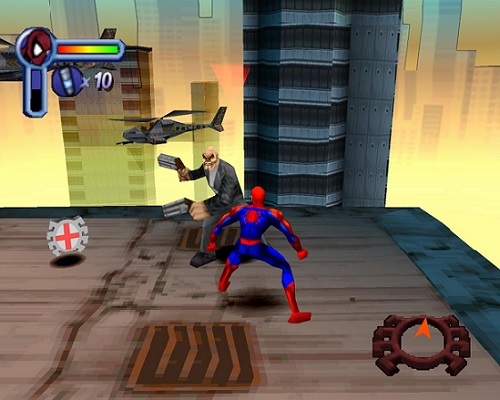 As I said before it was the first proper Spiderman game where you can go from building to building using your webs, and that alone was just an incredible moment for all Spiderman fans. They were dreaming for a Spiderman game that allowed them to do that. Thing is though, this game was tough. The first few levels aren't that bad but the difficulty amps up very quickly. The reason I suppose it isn't higher on the list is because I didn't play it very much and I did get stuck playing it a few times. One other thing - this game is probably one of the best on the PS1 for all the costumes you can wear. There were SO many, and they all had different abilities. In that respect this game was great. Can you imagine it coming out now though? All that would have been DLC you'd have to pay for! For #49 in my list, click here!